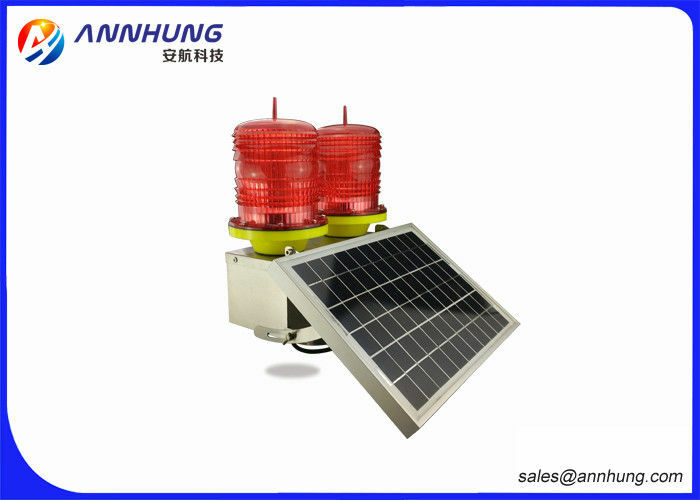 Low-intensity Solar Aviation Obstruction Light adopts low-light but high efficient solar panels integrated design,cooperate with solar dedicated plumbic acid battery as power supply. The battery adopts advance power management system, which can provide good protection when battery ’s voltage and temperature too high or too low,so it can improve the battery’s service life efficiently. Product’s shell adopts SUS304 stainless steel material that has specifics of light weight and corrosion insistence. 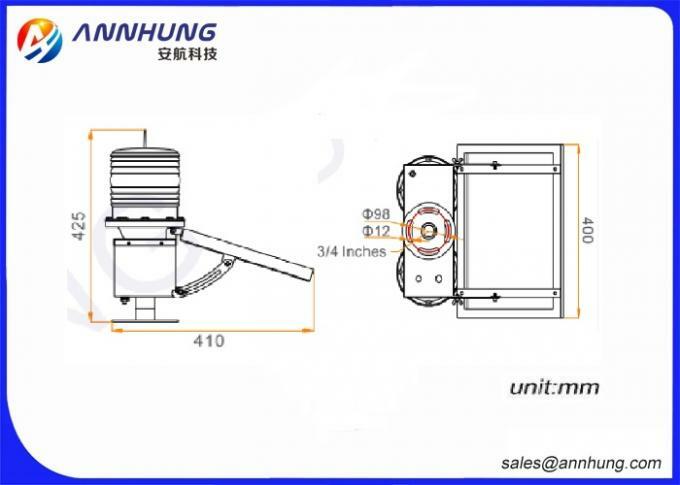 It's very convenient for installation and transportation. Lampshade adopts PC material,which can corrosion resistance, anti-UV anti-shock. 1. PC material keep from impacting, thermal stability, high transmittance. 2. Bird spike against bird standing. 3. International advanced solar panel reaching at least 10 years service life. 4. Comprehensive protection in voltage short, over-voltage, floating Charge and temperature. 5. New technology application. Light can work at night automatically by solar panel which function is equal to photocell sensor. 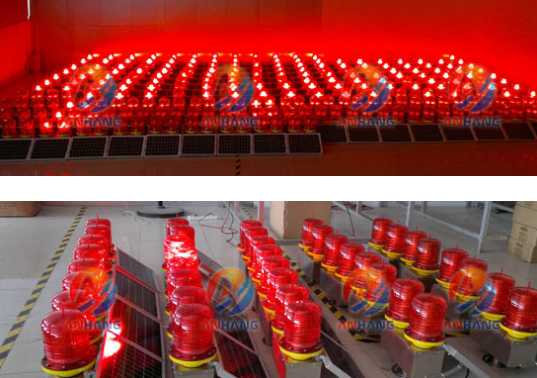 Supply voltage DC 12V (Solar powered Way), recyclable batteries with the lightest environmental and long life.